The Vintage Lady: little shop in old town. little shop in old town. 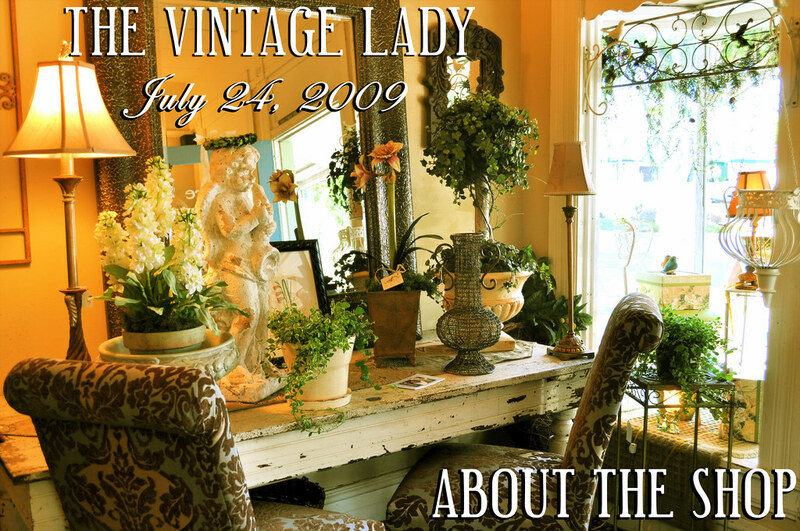 The Vintage Lady is a retail home, gift, and garden shop in Old Town Tustin, California. The business is housed in an 1878 historic building. The secret garden is discovered in the back of the property. I sell container gardens, as well as the heirloom plants and topiaries to make them. My style is simply eclectic, creative garden inside and out. Upholstered chairs end up in the garden and twigs from the birch trees turn into curtain rods. It's all eye candy and a great escape. The part I most enjoy is planting miniature gardens in old birdcages, little suitcases, baskets, and estate sale finds. Rusty buckets and old funnels can become a garden fairy fantasy land! This charming shop is as good as a vacation house. The work is satisfying; the customers become friends. There is an excitement to watching the gardens grow and the displays getting remixed as the furniture sells. This is a little jewel, a girlfriend shop, a gathering place to inspire you. This is my first attempt at blogging or using the internet. I like to read, write, and listen to music... this suits me well, then! I am discovering a new world and also want to share mine. Please come into my garden. As the fall season approaches I will be posting some of the exciting "new arrivals"! I'm not ready for an online business, yet, but please phone me if you see something that would bless your heart. I hear that you would like to see some photos of my wind chimes! If your really interested in it you can either purchase it on etsy, or I can make a new one maybe to try and sell in your shop. Let me know what you think! Ooops after I posted this I accidentally deleted my listing on etsy. :) So ive re-made it and here is the new link. 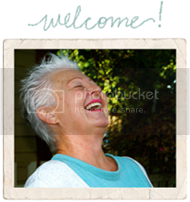 Your website is darling. I just posted on my blog about your shop - check it out. YEAH!! I am so proud of you! I know it's a learning curve....believe me I know, but once you get over that.......it's all downhill....and you are off to a great start!! !